I have heard so many people claim that arranging your home loan will be the most important financial decision in your life. That is quite simply hogwash! Think about it – since the federal government banned early exit fees it has never been easier or cheaper to switch home loans. Even if you select a bad loan you might have some application fees and maybe a few months of higher interest rate so on a $350,000 home loan over say six months you may squander $1,500 – that’s not to be sneezed at and in itself is a great argument for why you should be using a mortgage broker. But think back, in recent years there have been major floods, fires and other disasters and in every one of those events there have been people whose home insurance has not been appropriate and the cost to those people has in some cases been hundreds of thousands of dollars. And yet people spent hardly any time in selecting and arranging their home insurance – so let’s get all of this in perspective. It doesn’t matter if you are a first home buyer or a veteran at home refinance, as John Simons said it is not rocket science! It may be a 30 year loan term but is not a jail term – you can get out of your home loan at any time (unless you have fixed rates) – so think of it as a 3 to 5 year project because that’s how long most loans last. Really the main difference between first home buyers and other borrowers is that typically the first home buyer has a limited deposit. However in most states you still get substantial discounts on stamp duty and the first home buyers grant of $7,000. There may be other incentives offered by your state government and it is best to check these directly – just google “office of state revenue mystate”. One of the consequences of having a limited deposit is that LMI (lender’s mortgage insurance) will apply and as their are only two companies offering this insurance they have a great deal of influence over what the lenders can and cannot approve. One of their main requirements is ‘genuine savings’ – these are funds that you have saved over at least 3 months and preferably longer. The generally don’t include funds such as tax returns, sale of a motor bike etc – in other words they really want to see real savings. Having said that if you can scrounge up around 5% deposit and if you have been paying rent through an agent for your current house for at least 12 months – you have a chance with some lenders. 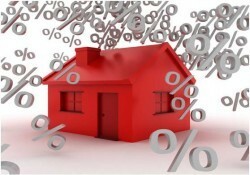 Otherwise you need limit your borrowing to 90% of the purchase price or if you are lucky maybe Mum and Dad can provide some equity from their home and as guarantors reduce your borrowing down to 80% of the combined value of their house and the new house – then you don’t need genuine savings and you don’t need any deposit at all. My company KeyChange works with the Peach Financial Group – in fact under contract I provide the services of general manager and head broker to PFG. Peach are the broker who pioneered sharing their commission with their clients. Peach also pioneered ‘virtual broking’ in that we don’t visit clients and all of our staff work from home. Working from home (teleworking) was my area of speciality at the time and I guess that is how I ended up with Peach. In 12 years I have only once met the CEO, I have never met any of the staff or clients face to face and yet I have spoken to over 10,000 people looking for home loans. So if you are looking for a broker with a difference – why not give me call today.